Wella is known as an industry leader and for its innovation, with over 125 years experience in providing hair care and styling products of high demand to men and women world wide. Benefits & Features Improves combability. Moisturizing cleansing for..
Benefits & Features Hydrates, while imparting a gorgeous and noticeab..
Benefits & Features Effectively moisturise dry hair for long-la..
Benefits & Features Gives your hair an even structure for a beautiful..
Benefits & Features Five minute intense treatment protects and repairs you..
Benefits & Features Gives your hair superb strength and body. ..
Benefits & Features A soft volumising treatment ideal for fine hair. ..
Benefits & Features Anti frizz protection. 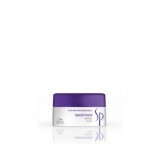 Perfectly smoothen and co..
Benefits & Features It only takes minutes for this leave in treatment to go to work. ..
Benefits & Features Creates light volume. Strengthens fine hair with..